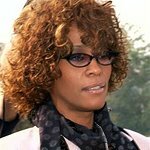 As friends and family gather to mourn the passing of Whitney Houston on Saturday, Janet Jackson has opened up about about the legendary singer’s “beautiful soul” in an upcoming exclusive interview with Prevention Magazine. “I remember, it was at the Grammys, actually,” said Janet. "It was the first time I was performing, actually… and someone from my camp was filming my performance backstage, and she and Luther Vandross were standing there, and you could hear Whitney — and Luther – in the background – just cheering me on during the whole performance. The interview will be published in an upcoming edition of Prevention.